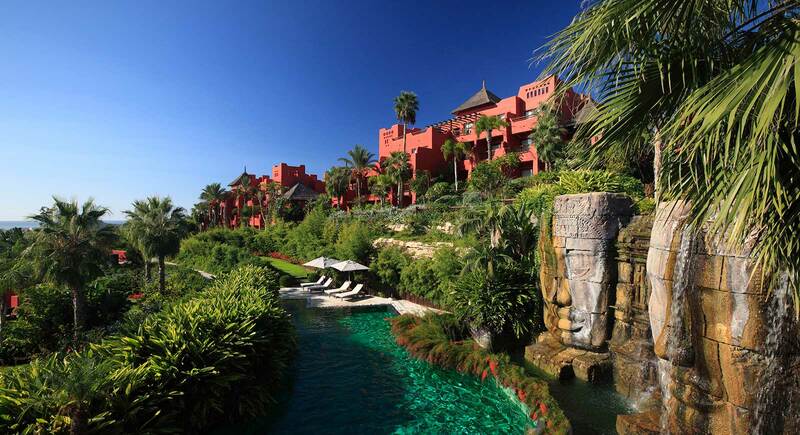 Unlike its name suggests, Asia Gardens is situated in Spain. To be more specific: in the sun-drenched region of Alicante. Slightly sceptical, as it sounds quite odd to stay in a fully Asian-style hotel in Spain. 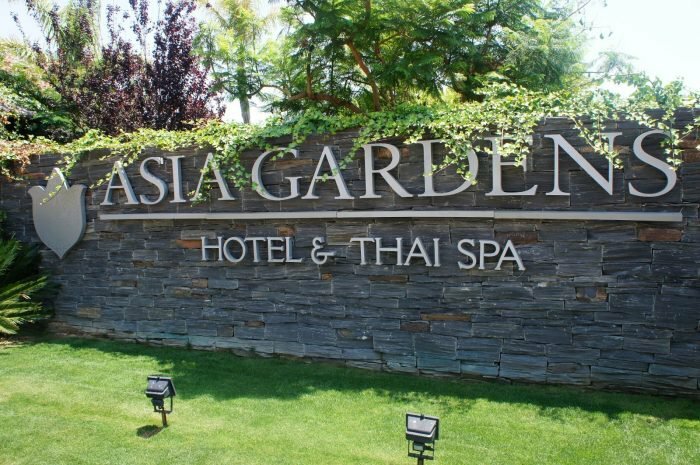 Yet, as soon as we enter the grounds of Asia Gardens Hotel & Thai Spa, it feels like we are about to experience something really unique. The complex of buildings is built of red stone and is in perfect contrast to the luscious greenery of the surrounding gardens. This 5-star hotel has already won many awards – in the category ‘luxury resort in Spain’ and as the best family hotel in the Mediterranean. Once inside, the welcoming feel of both the soft relaxing music and the home-made Thai lemongrass tea fit in beautifully with this almost mystical and serene experience. Having passed the vast lobby, our eyes are instantly drawn to an oasis of flora. 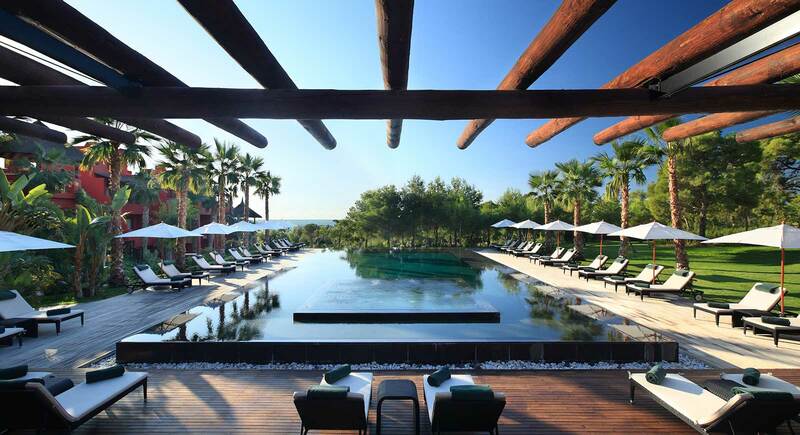 The garden of this resort is designed to create an Asian environment in a Mediterranean climate region. Over 200 different species of plants and trees have been planted, 80% of which are of Asian origin. That’s why we see here a wide range of stunning trees and plants, waterfalls flowing from one pond into the other and a variety of small paths meant for exploring the gardens. The collection includes rare trees with extraordinary names, like Drunk Stick, Elephant Foot, Jupiter Tree and the White Bird of Paradise. In addition to all these fascinating species, there is also a variety of fruit trees. These are complemented by a magnificent collection of no less than 40 different Bamboos. The hotel garden is also home to an impressive variety of palm trees, with over 50 different species. Another outstanding specimen is the huge Carob tree of over 200 years old. The gardens have been ingeniously designed; laid out at various levels, so you are unaware of the other guests staying at the hotel. Wandering through the gardens, you don’t have a clue of your exact whereabouts and it’s always a surprise what you’ll come across around the next corner. We try the main pool, a series of interconnected swimming pools with pool steps everywhere. A part of this swimming pool is for exclusive use by VIP guests – great if you want some privacy. Yet, there is ample space to guarantee a relaxing stay by the pool. 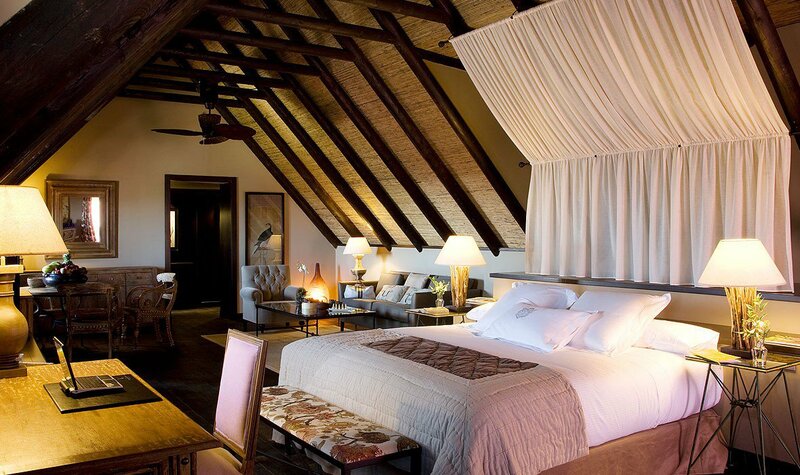 There are several stilt houses that can be booked for private use. Health freaks will be in their element in the hotel’s Spa. This fabulously decorated Asian-style Spa offers a wide range of treatments and 2- to 7-day programmes. 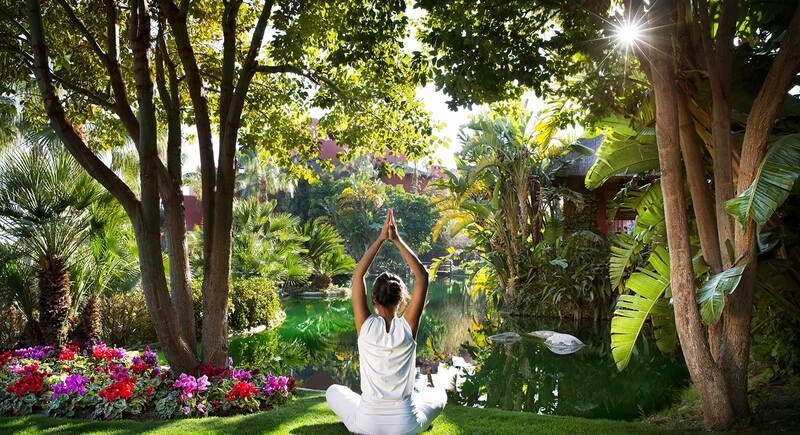 And we must admit: the wellness retreats look very tempting. The hotel counts no less than 9 restaurants. The Zen Snack Bar is a good place if you want to eat by the pool. The In Black restaurant (adults only) is a good choice when your child is enjoying himself at the kids’ club. Places such as Altea, Calpe, Jávea and Moraira are ideal for outdoor activities and marine sports or for sunbathing by the Mediterranean Sea. There are fine sandy beaches all around; Caja de Finestrat has wonderful golden sand and some good rocks to climb. If you are looking for adventure: there are two 18-hole golf courses that are only a 3 minutes’ drive from the hotel, the Terra Mítica theme park, marine sports (yachts and sailing boats with or without a skipper, water scooters and scuba-diving), helicopter flights, wine bodega and wine-tasting visits, nature and other adventure activities (horse riding, jeep safari, 4×4 drives in the Sierra Aitana, forest mountain bike trails, paragliding, canoeing, balloon trips).